The Park Plaza Victoria London is a contemporary four star deluxe hotel conveniently located a short walk away from Victoria Station and Buckingham Palace and is ideal for those travelling to Gatwick. The hotel features 287 comfortable guest rooms each offering all the modern facilities with air conditioning safe movies on demand and wifi. Park Plaza Victoria London also features a world-class aa award-winning restaurant and for an after dinner drink guests can enjoy a specialty cocktail or simply relax and enjoy the ambience at JB's Bar. 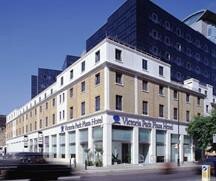 The PARK PLAZA VICTORIA LONDON is a Tourist hotel. 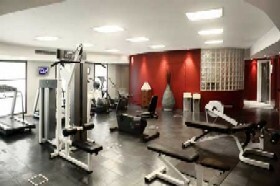 Located in City Centre - Victoria area. Shopping is accessible by bus/taxi and the nightlife/restaurants are easily accessible by taxi or bus from the hotel. 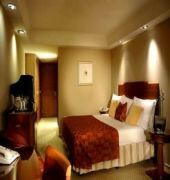 Descriptionclass="small" style="text-align: justify; font-size:11px;">The Park Plaza Victoria London is a contemporary four star deluxe hotel conveniently located a short walk away from Victoria Station and Buckingham Palace and is ideal for those travelling to Gatwick. The hotel features 287 comfortable guest rooms each offering all the modern facilities with air conditioning safe movies on demand and wifi. Park Plaza Victoria London also features a world-class aa award-winning restaurant and for an after dinner drink guests can enjoy a specialty cocktail or simply relax and enjoy the ambience at JB's Bar. We have stayed here a number of times and to be honest last we felt the place was a little tired last time but itâ€™s so convenient for everywhere, we thought weâ€™d give it another go. The place has had a lot of TLC in the last 6-8 months and is looking great. We are delighted we went back! The hotel is clean and very comfortable. Thank you very much for taking the time to share your feedback on Tripadvisor, and for being a regular guest at Park Plaza Victoria. We are extremely happy that you choose to give us another opportunity and come back to the hotel, and mostly that we were able, on this occasion, to fully meet your expectations. We have recently undergone through a full refurbishment of the common areas: Reception and lounge bar have been totally renovated, and we are also about to re-open our Executive lounge, which is in its final stage of refurbishment. Hoping to be able to welcoming you again at Park Plaza Victoria in the near future, I would like to thank you once more for the feedback and perfect score. Thank you do much for sharing your wonderful comments on Tripadvisor. We are delighted to hear that your experience with us has been fully satisfactory, with special mentions to the breakfast buffet and the convenient location of the hotel, close to local facilities in the Victoria area, and also very well linked to all the main attractions and sightseeing in Central London. However, the compliment we receive with more pleasure is definitely regarding the staff and the superior customer service we always strive to provide to all our guests. Your appreciation will serve as encouragement for the team to keep up with the usual hard work. Once more, thank you for your business and feedback. Thank you for taking the time to review the hotel, sharing your comments on Tripadvisor. We are extremely happy to receive your positive feedback and that your experience with us has been fully satisfactory, with the highlight in the celebration of your daughter's birthday. We are always glad when our guests decide to celebrate special occasions with us, and we try to go out of our way to render the full experience even more pleasant, as it happened in your case. Given the3 positive outcome, I really hope to see you again as a guest of Park Plaza Victoria again on the next occasion, shall your business bring you back to this area. Even though it's in Westminster I find that the Plaza has a really good central location. 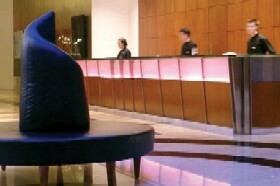 The location combined with nice comfortable rooms make this my favourable hotel in London. Easy access to all London via Victoria Station contently located 5 min walk away. Thank you for taking the time to review the hotel, awarding us with such a nice score and positive comments. We are delighted to see that you fully enjoyed your experience with us, with particular appreciation towards the convenient location of the hotel, close to Victoria station and all the main attractions in central London. On behalf of the entire team, I would like to thank you for your business, and I look forward to welcoming you again at Park Plaza Victoria on the next occasion. Thank you for taking the time to review the hotel, sharing your experience on Tripadvisor. We are glad to hear that your experience with us has been overall satisfactory, with particular appreciation towards the convenient and central location of the hotel. On the other hand, I would like to extend my sincere apologies for the several slight inconveniences you had to face in your room with the shower, the WiFi and the missing bottle opener, which, I understand, affected negatively the final perception of your experience. I am not sure if you mentioned the issues you faced to any member of the staff during your stay or not. 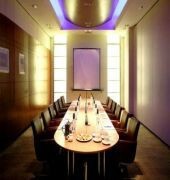 For future reference, shall you decide to choose Park Plaza Victoria again, please remember that we have a 24-hou reception always willing to assist you and fulfil your requests. On behalf of the entire team, I would like to thank you for your business, with the hope to be able to welcoming you again very soon.